Jessie, Momma, and I were so sad to learn this weekend that our dear furiend Dory went to the Rainbow Bridge after a short illness. 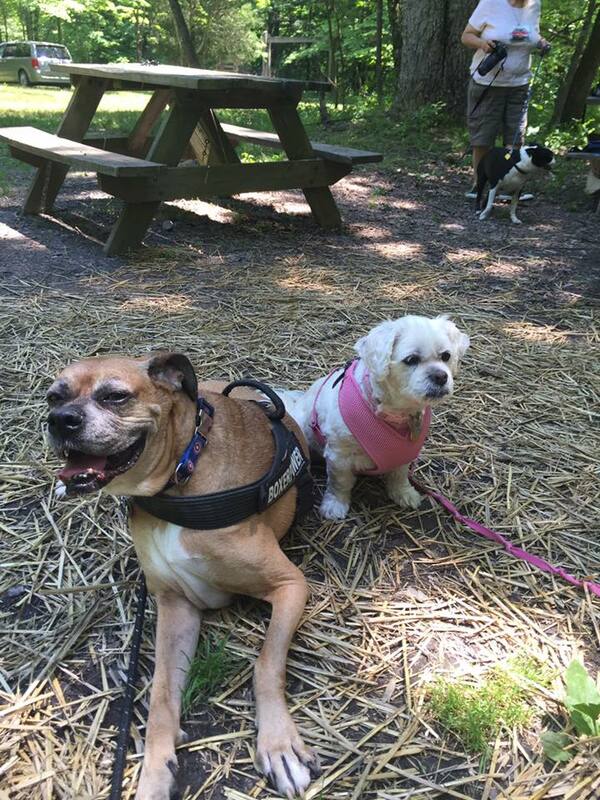 We are so glad that we got to meet Dory in the furs at the BAR last summer, so we have extra special memories of her to look back on. She was a very special girl, and we know her family misses her so much. Please go give her family your love and condolences for their loss. We'll never furget you, Dory!! How we wish we had been so lucky to meet Dory in the furs!!! But she still managed to touch us in so many beautiful ways. We are just so sad that she had to leave us so soon. Soft woos and gentle hugs to her family. You were so lucky to meet in the furs. That was Mom's Dad's 96th birthday so she was out in Washington state with him. Dory was one special soul and she just made the whole world more beautiful. This is so very sad. 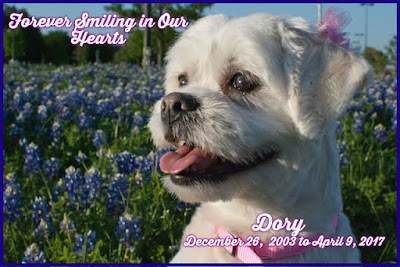 Dory was a beautiful girl. She was a wonderful dog. I'm glad you make some beautiful memories with her in the furs. You were so lucky to meet in the furs. Such a special girl!!!! Those of us who Meet Dear Dory... at BAR are very much lucky. We have such wonderful Treasured MEMORIES to help us deal with the dreadful news. Dory was one of our first friends and we are so sad. How lucky you were able to meet her in the furs. How nice you were able to meet her in the furs.You can keep her in your hearts now.